What’s the difference between a dental bridge vs. implant? What is the difference between a dental bridge and an implant? Which treatment option is right for me? 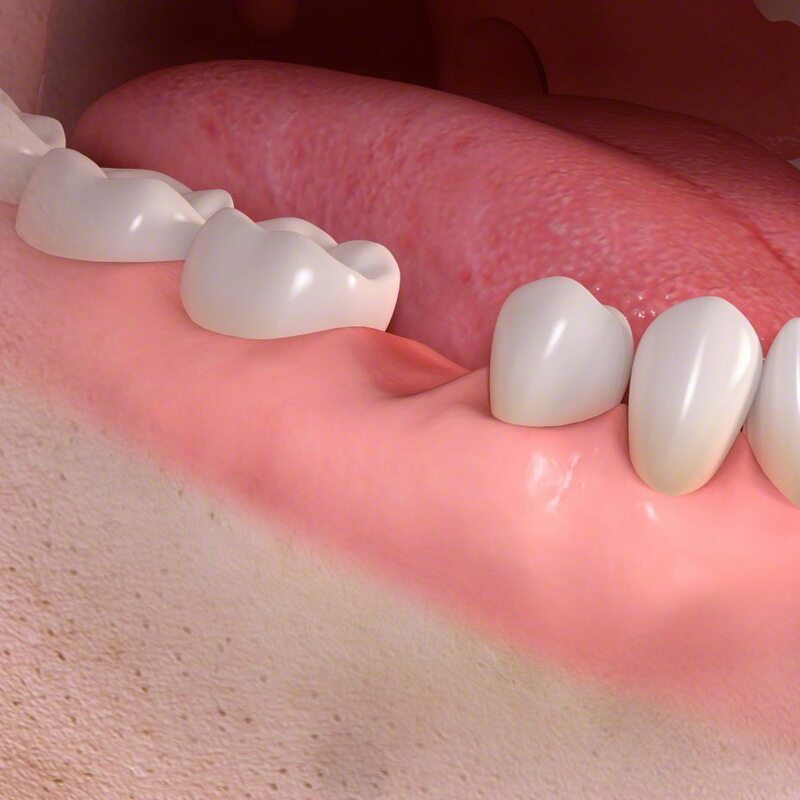 These are the most commonly asked questions when it comes to replacing a lost tooth. In the past, a bridge was the only choice – until the advent and long-term predictability of implants became an essential part of dental treatment. A fixed dental bridge requires the adjacent teeth to be “prepped” or reduced in order to create room for the material of the restoration. This is not an issue if the neighboring teeth have very large fillings that need to be replaced and will require crowns in the future. However, if they are perfectly healthy teeth, it would be a shame to compromise them in any way. On the other hand, when placing and restoring a dental implant, the adjacent teeth are not harmed at all. 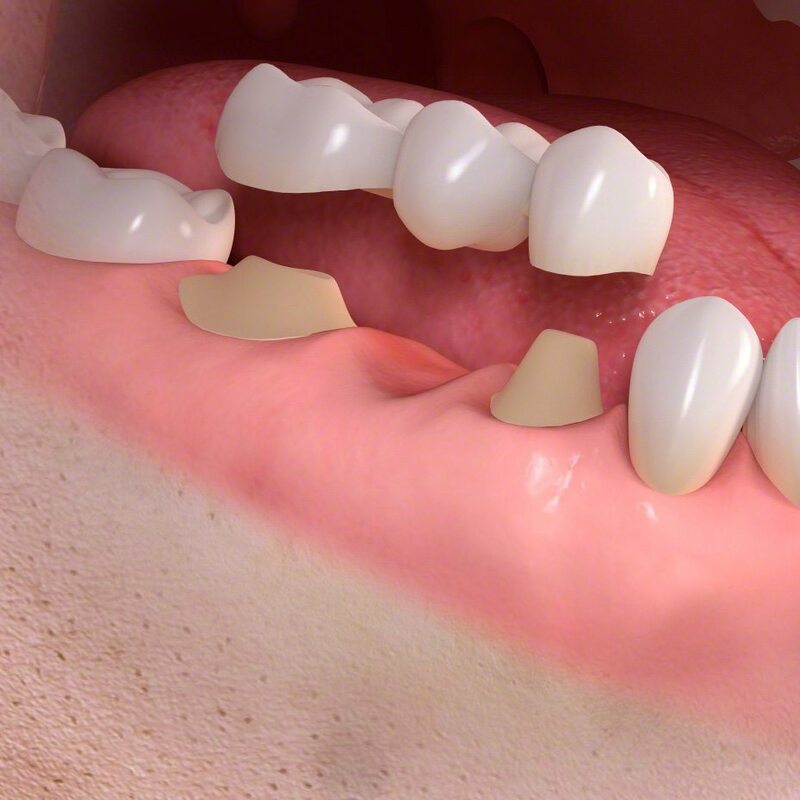 We will only be replacing the individual tooth that is missing for a result that is stronger and more permanent. In terms of maintenance, you will treat an implant crown the same way you would a natural tooth with proper brushing and flossing. This is in contrast to a bridge, which involves connecting several crowns together, can be a hygiene burden. We will need to assess the implant site to determine the bone quality and quantity prior to any treatment. Depending on your jaw health, there may be a need for additional bone grafting procedures to augment the site in preparation for a dental implant. There will also be a comprehensive medical evaluation to rule out any contraindications for surgery. One of the most common misconceptions is that age is a factor. However, studies have shown dental implants to be successful in patients well into their 80s and even 90s! What should I expect if I decide to get an implant? 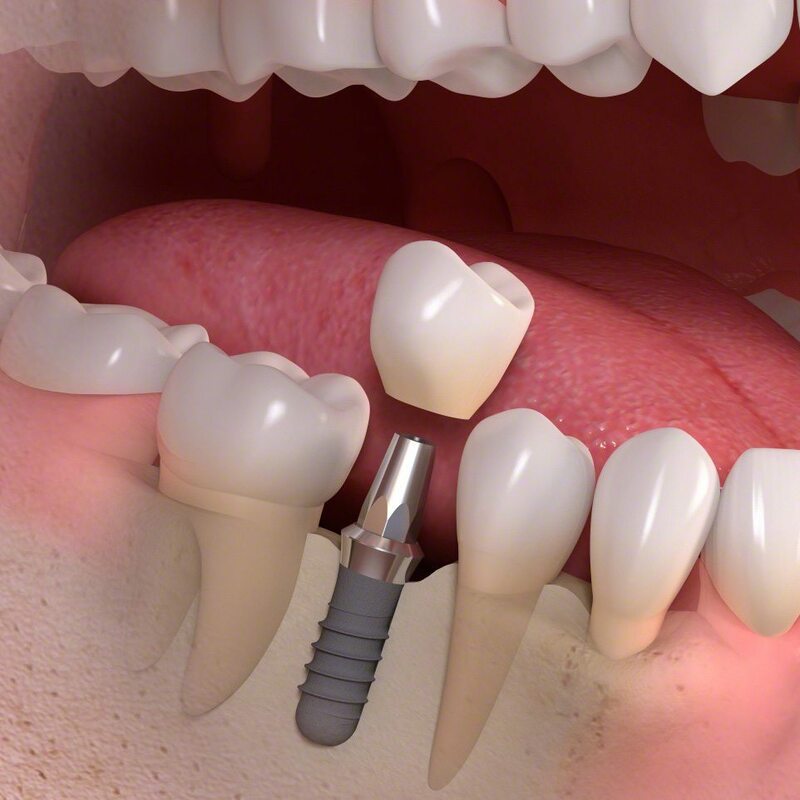 If you decide to get an implant, a titanium implant will be surgically placed beneath your gums and into the area of your jawbone that your tooth root once occupied. You’ll probably experience some discomfort and swelling following the procedure. Implants are left in place to integrate with the bone for a period of 3-6 months. After that time, you’ll return to your implant specialist to be fitted for a crown. Will I need to follow any special instructions to care for my new implant? Your implant-supported crown will require little care outside of routine brushing and cleaning. However, your dentist will advise you to take time to clean the area between your gums and crown. Be sure to continue to attend periodic dental cleaning and examination appointments.